Because you have found this blog (focused on spiritual renewal), we share an interest – renewal. Though the word Noel comes from French, it can be traced to the Latin word natalis. This word can mean “birthday” as a noun. It also means “of or relating to birth” as an adjective. Can we agree that spiritual renewal involves submitting to a new birth? 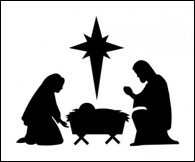 If so, it is not difficult to see how my mind goes to the renewal of our world when I think of the birth of Jesus. So, I send you just a short note to let you know that we are thinking about all of you. Our prayer is that God will bless you abundantly in the days ahead as we celebrate the Christmas season, as well as the breaking in of a New Year. It is hard to believe that we have already been living in Brook, Indiana for seven months. Let me briefly bring you up to date. Our son Austin is back living in Colorado. Eric lives most of the year at Lincoln Christian University—where he is preparing for a life of ministry. His major is ‘spiritual formation;’ one of his major enjoyments is being on the baseball team. With only Autumn at home (in her Junior year of high school), it can be pretty quiet in the house at times. President Calvin Coolidge once said, “Christmas is not a time nor a season, but a state of mind. To cherish peace and goodwill, to be plenteous in mercy, is to have the real spirit of Christmas.” This is our desire and prayer for all of you in the coming year – that you will experience the ‘real spirit of Christmas.’ Maybe it will require a spiritual renewal. We might just need to ‘birth’ this attitude/approach.